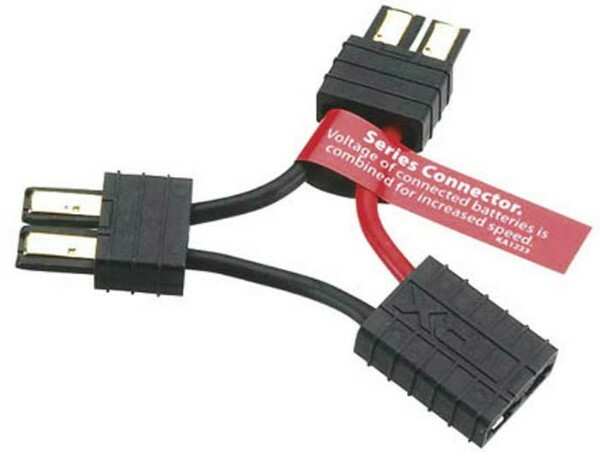 This is the TRA3063 Series Battery Connection Wire Harness for use on the Traxxas 1/16 E-Revo and Slash VXL Vehicles. Combines voltage of connected batteries for increased speed. INCLUDES: One Wire Harness with instruction sheet. REQUIRES: Installation between batteries and ESC.